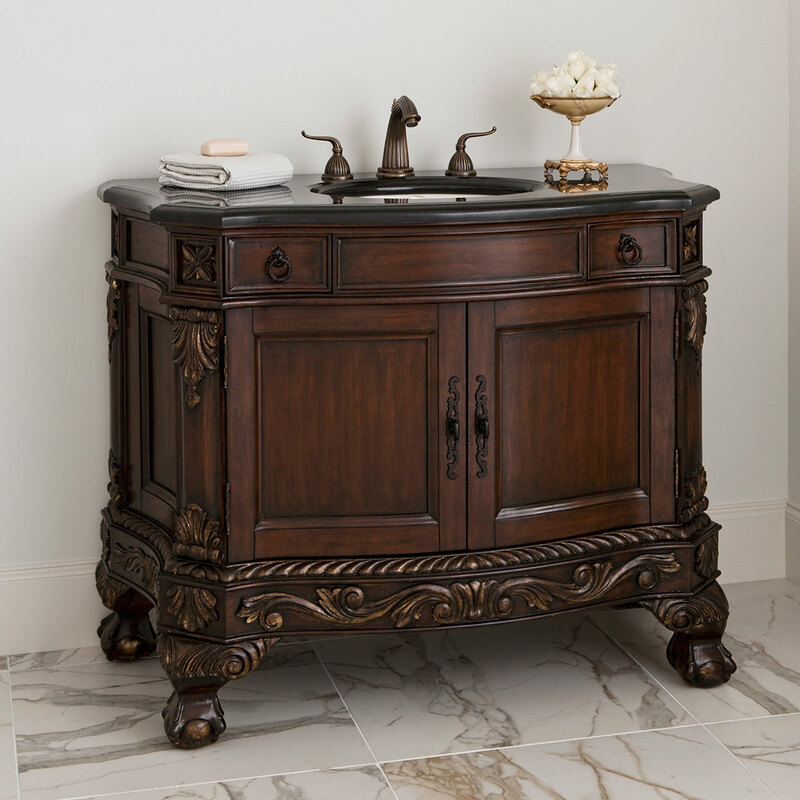 The 47" Ball and Claw Single Bathroom Vanity is a darker version of our other Ball and Claw vanities for those who like luxury with a dark side. The mahogany finish is enhanced by gold highlights. Carved leaf and rope embellishments help give this piece its unique character. A double door cupboard provides storage. The countertop and backsplash are black granite, which hugs the cabinet's unique geometric design. Faucet options are available. Installed with a Balsa porcelain sink.